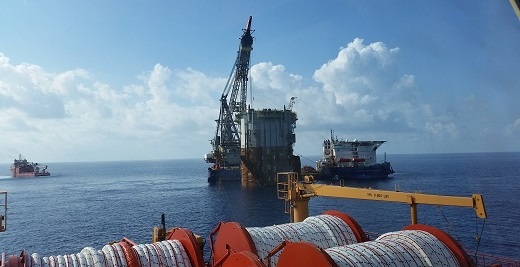 InterMoor successfully provides rapid mooring support in the Gulf of Mexico. InterMoor Inc. provided Anadarko Petroleum Corporation with rapid hook-up services for their Heidelberg truss spar in the deepwater Gulf of Mexico after stepping in at short notice for another contractor. InterMoor’s extensive offshore mooring experience enabled it to adapt its procedures in a short amount of time, to safely accomplish the job quickly and efficiently, and to ensure the new production facility was safely secured in case of a storm. The company hooked up the 80,000 bbl/d spar to three mooring lines in Green Canyon block 860, offshore Louisiana, at a water depth of 5,300 ft (1600 m). The project’s original contractor then resumed the job and completed the remaining six mooring lines along with the completion of the spar installation. InterMoor initiated the engineering work in March 2015, began offshore work in early June and completed its part of the hook-up in July. Previously, InterMoor had fabricated some suction piles for the Heidelberg project in February 2015 and provided representatives during the installation of the Lucius spar, which is identical to the Heidelberg, in 2013.